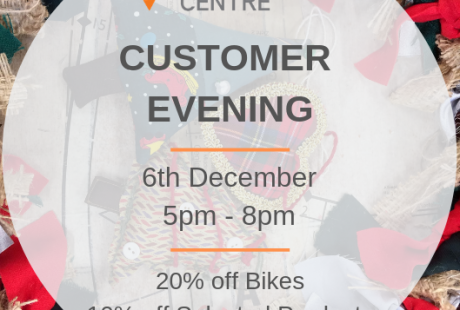 Join us on the 6th of December from 5pm to 8pm for our annual Eco Store customer evening. There will be nibbles, festive drinks, discounts and reuse demonstrations. To say thank you to all of our customers, there will be 20% off all of our bikes and 10% off the majority of stock in the Eco Store. Make sure to come along from 5pm on the 6th of December to start your Christmas shopping with some discounted eco products and a glass of wine!